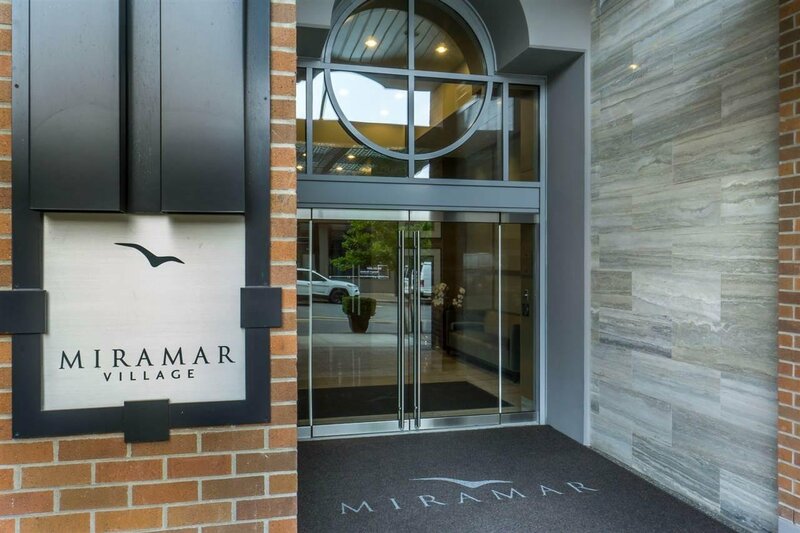 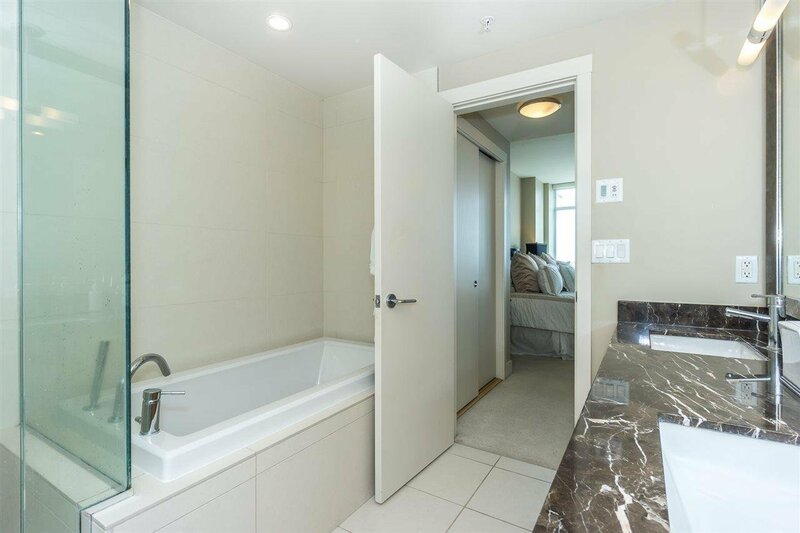 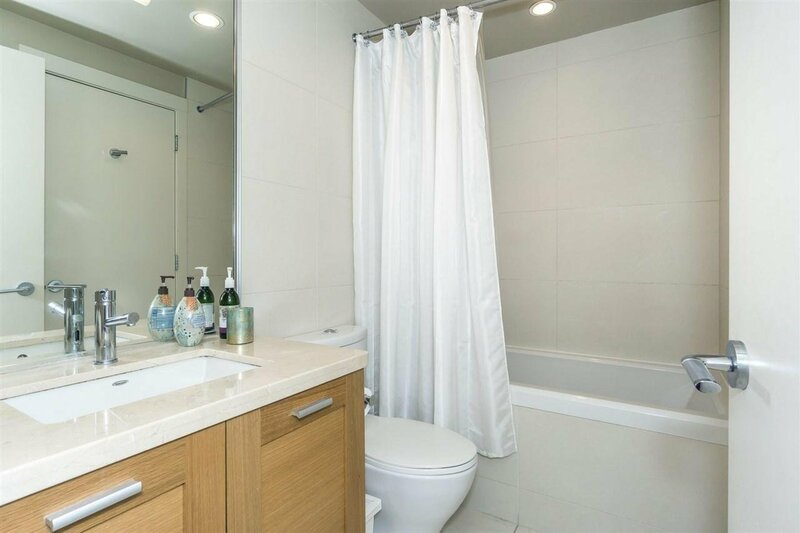 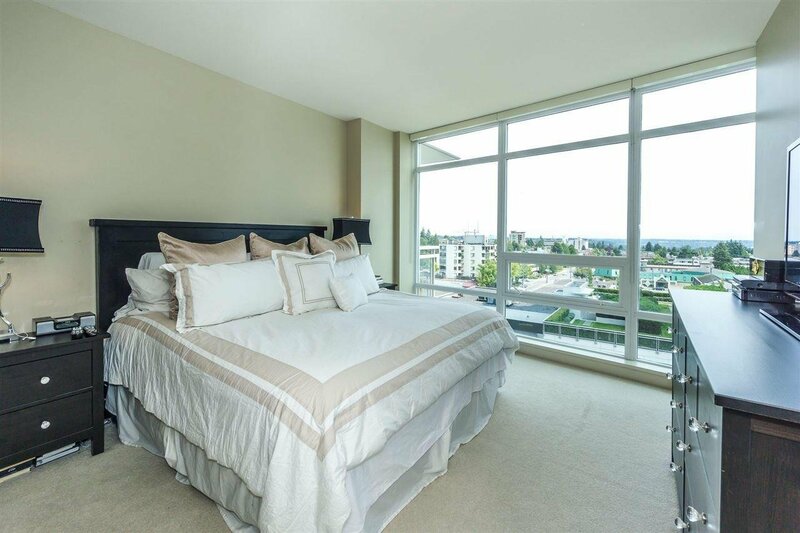 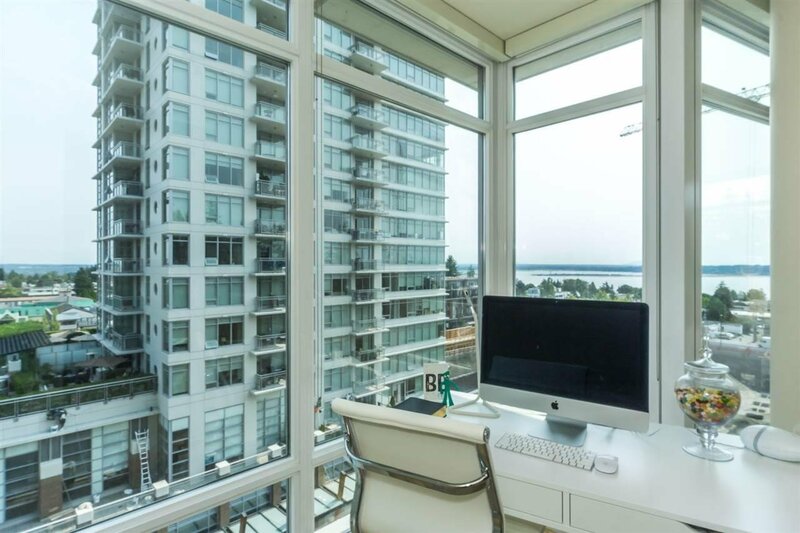 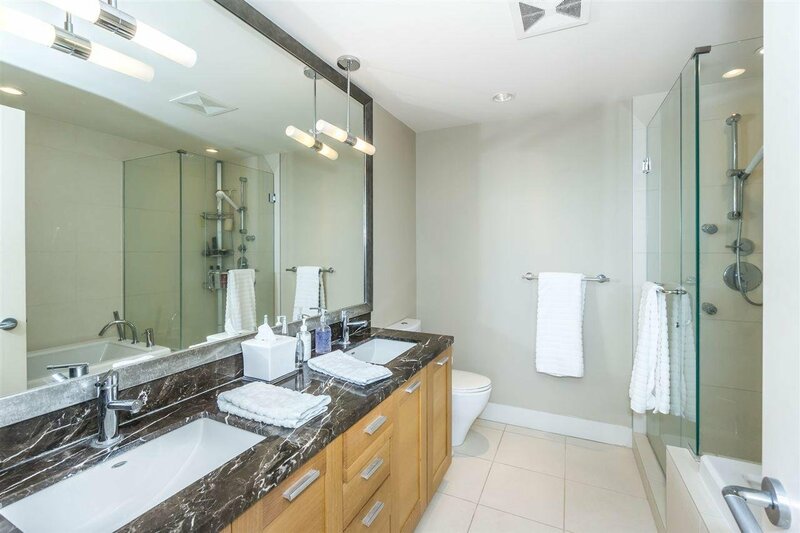 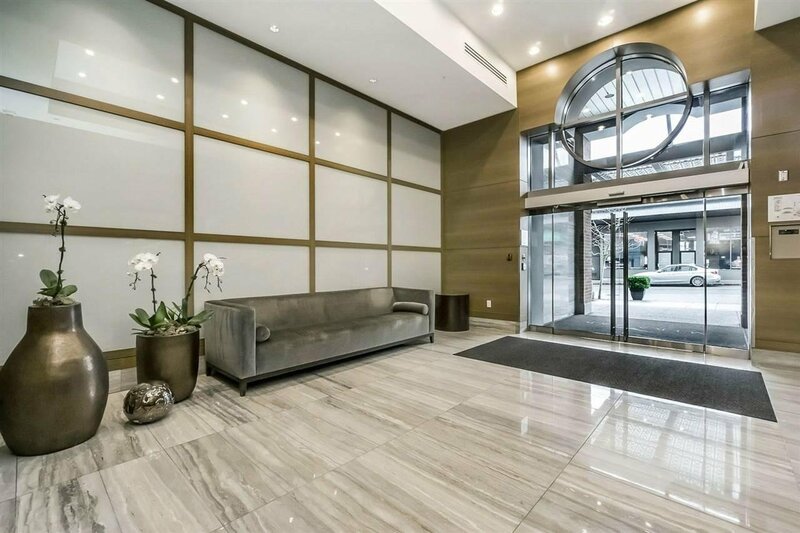 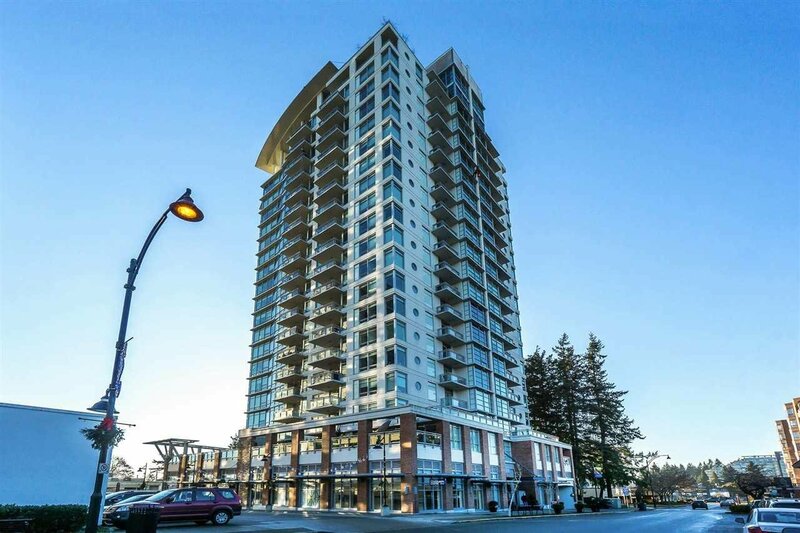 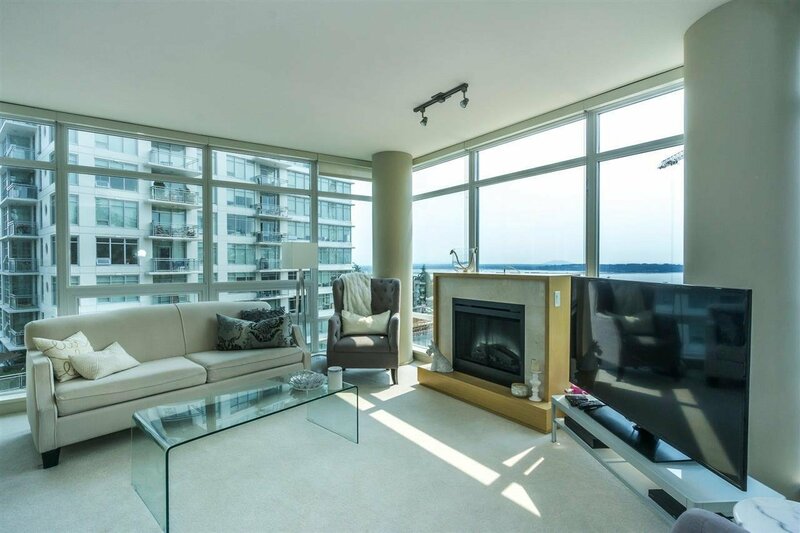 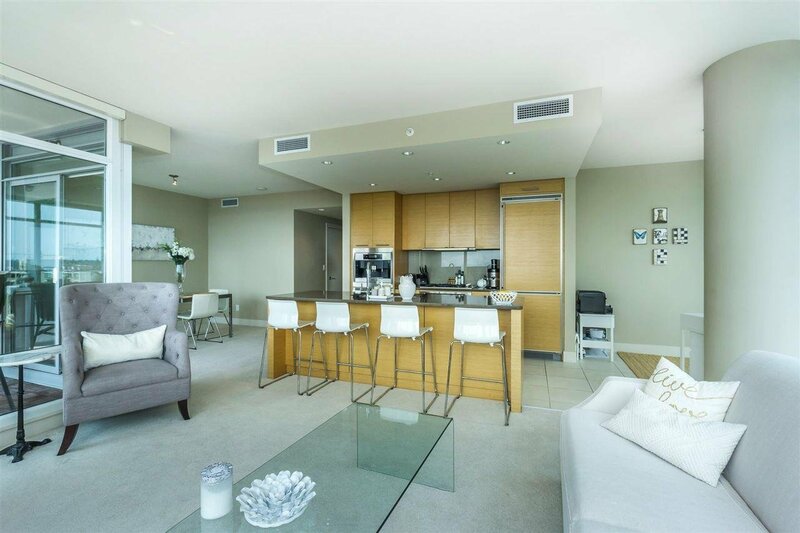 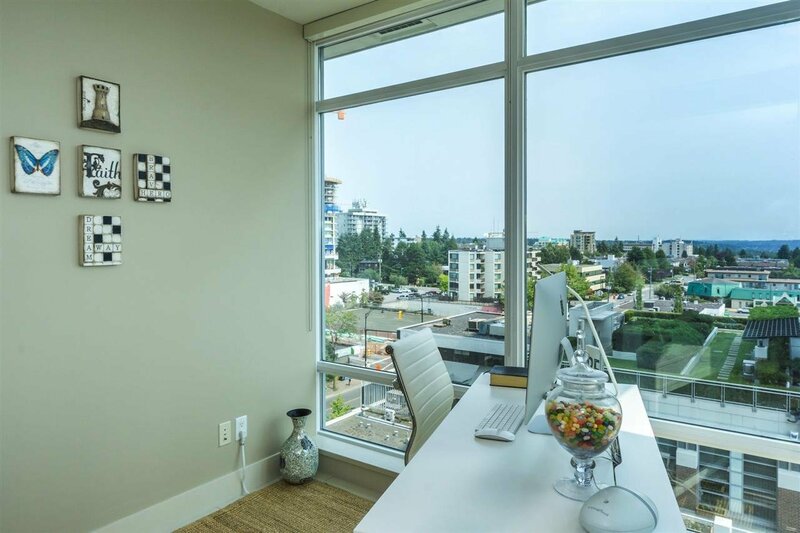 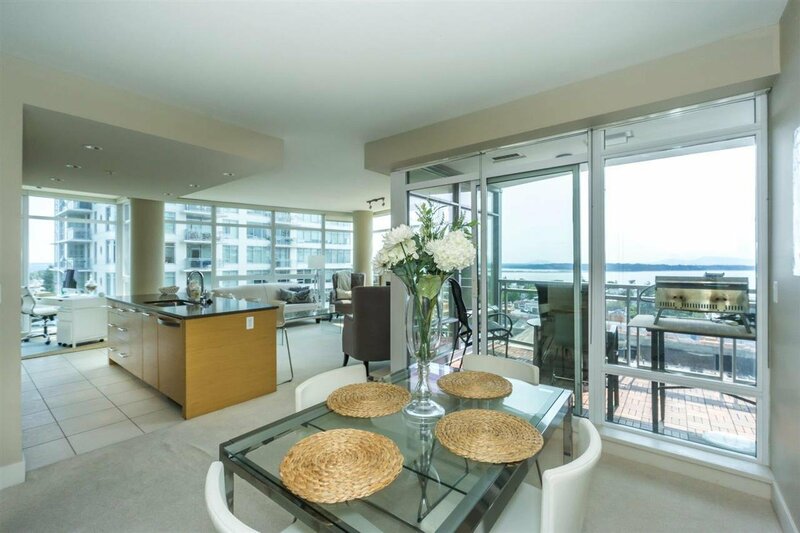 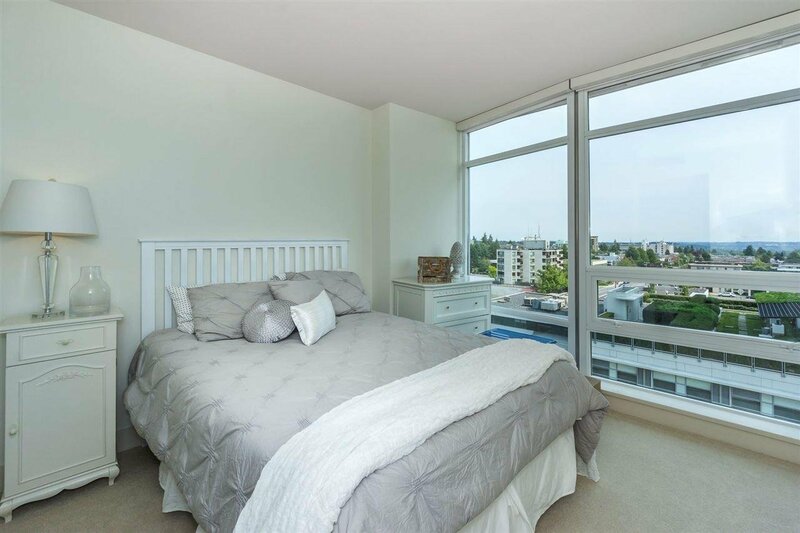 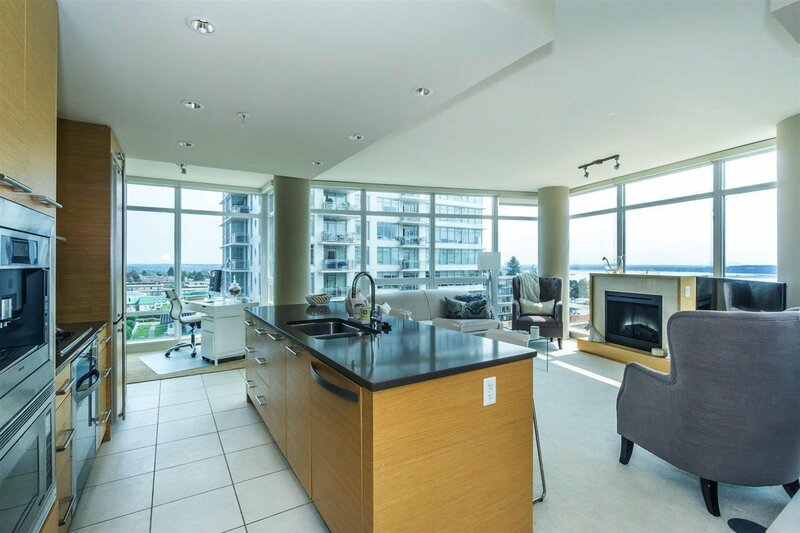 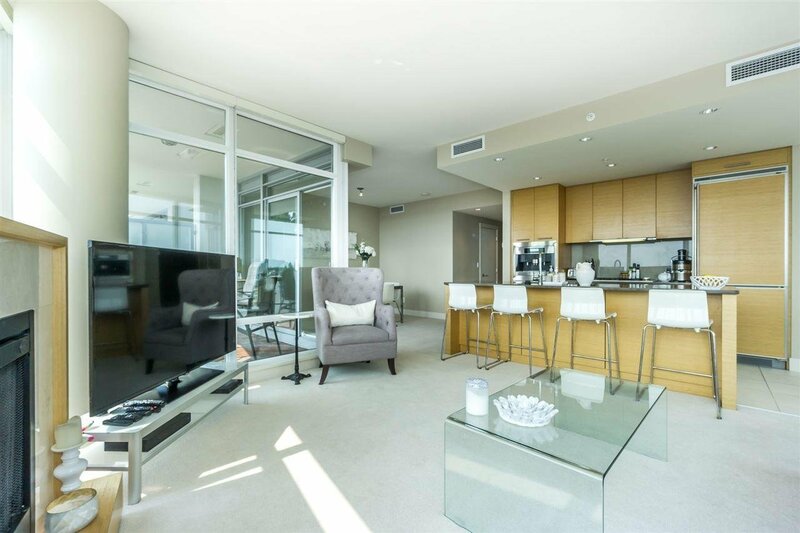 "MIRAMAR VILLAGE" 1270 sq ft 2 bed/2 bath corner unit - Unparalleled luxury living, in this award-winning "Bosa" a constructed concrete high rise in the heart of White Rock. 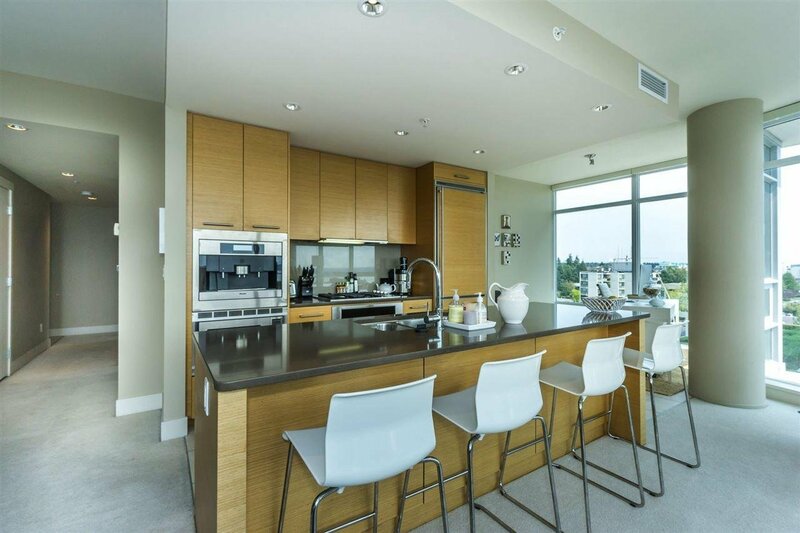 Luxury living with top of the line kitchen appliances, built in gourmet coffee maker, stone countertops, radiant ensuite heating, A/C and a fireplace for cosy evenings. 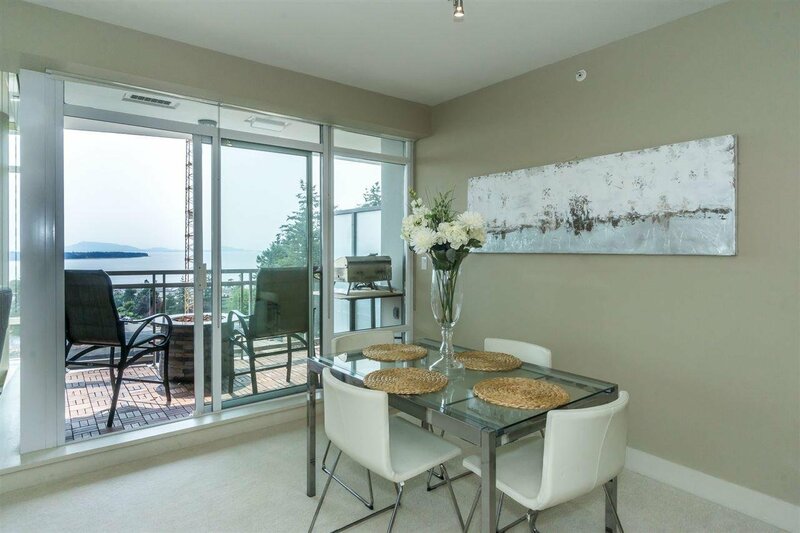 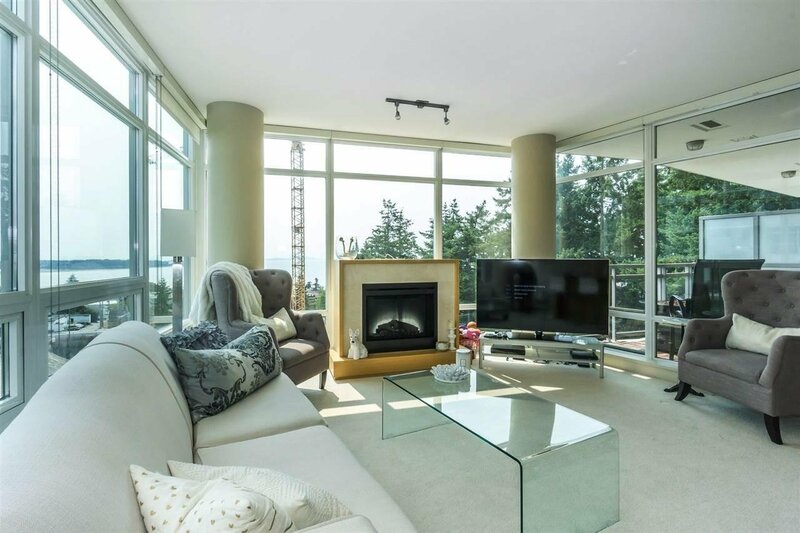 Light, Ocean and mountain views fill the apartment through the floor to ceiling windows and entertainment size deck, providing changing landscape views over Semiahoo Bay with the change in seasons. 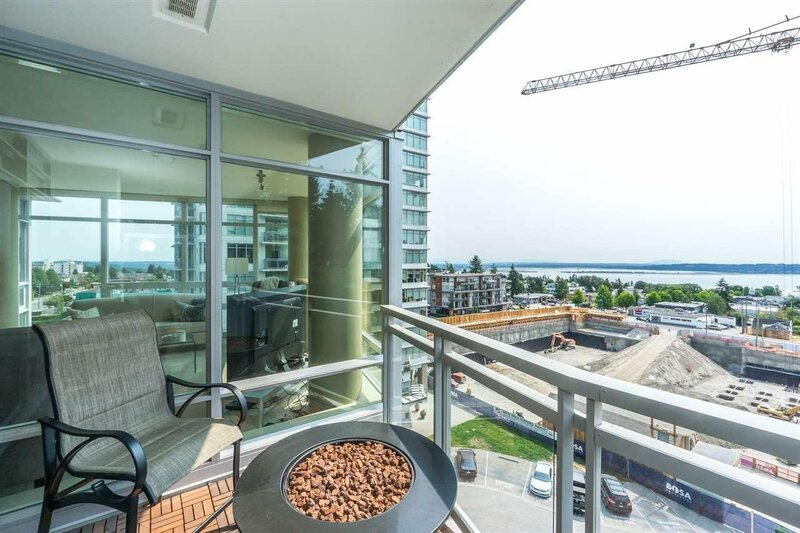 1 PARKING AND 1 STORAGE.